Here are some facts about Norwich Castle. Norwich Castle is a motte and bailey castle constructed by William the Conqueror after the Normans invaded and settled England. The castle was constructed some time between 1066 and 1075. Some historians believe that it was the third Norman castle to be built after the Tower of London and Colchester Castle. Dozens of Anglo-Saxon houses were cleared to make space for the castle. It is the only Norman Castle in East Anglia. Norwich Castle is one of 48 castles mentioned in the 1086 Domesday Book. Henry I spent Christmas in Norwich Castle in 1121. In 1549, Robert Kett was hanged at Norwich Castle for his key role in the Norfolk Rebellion (Kett’s Rebellion). A 1970s archaeological excavation revealed that the Norman castle had been built on the site of a Saxon cemetery. Norwich Castle was the only major royal castle in east Anglia until the Orford Castle was built in the 12th century. In the 1173-1174 revolt against King Henry II, Hugh Bigod, 1st Earl of Norfolk, captured Norwich Castle. 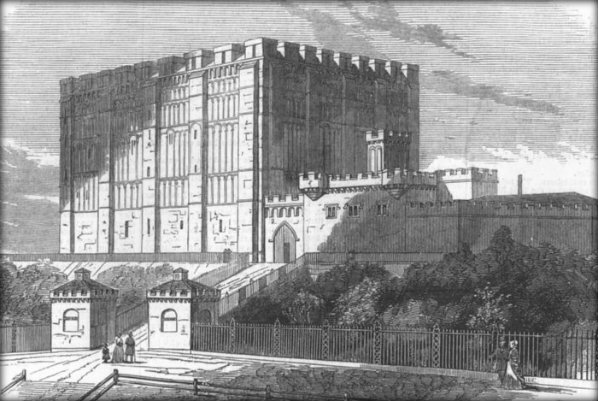 From 1220, Norwich Castle was used as a gaol. It was used for this purpose until 1887. The original inner and outer bailey buildings survive today. The original keep still remains, but it has been substantially repaired and refaced. Today Norwich Castle is a museum and art gallery. The building is a Scheduled Ancient Monument. More than 100,000 people visit the museum every year. The museum is home to a collection of more than 3000 ceramic teapots. What next? Discover some more facts about castles.